After several weeks without painting, I returned to Hastings Country Park Nature Reserve yesterday. 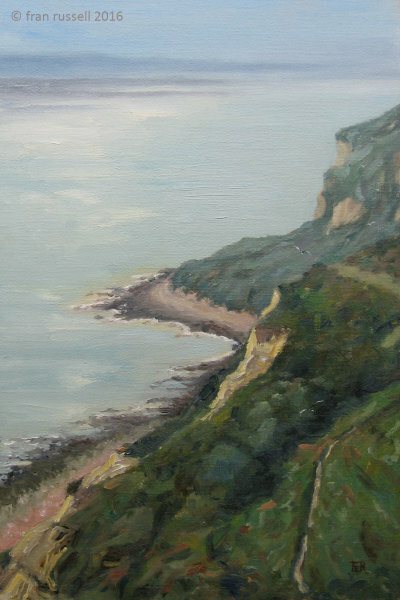 I walked further from the car park this time, closer towards the sea and set up my easel near to the cliff edge (but safely behind a fence!). I found a beautiful spot which also turned out to be one of the windiest, but it was a brilliant day to be out there.